The Erdogan family is knee deep in this scandal, and Barack Obama has known about it the entire time. 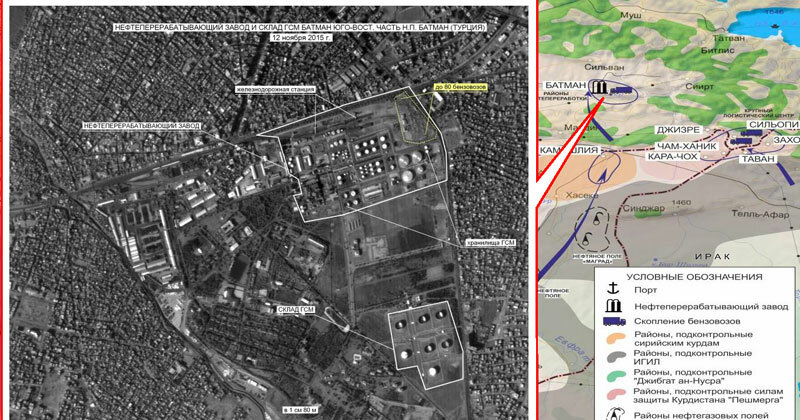 For much more on the involvement of the Erdogan family in the smuggling of ISIS oil, please see my previous article entitled “The Biggest Obama Scandal? He Knows That Turkey Is Buying Oil From ISIS And He Is Doing Nothing To Stop It“. 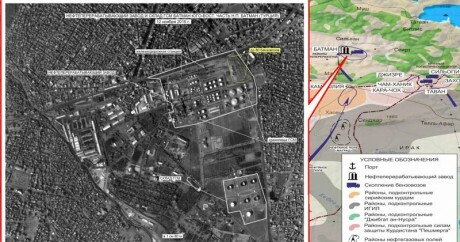 “The western route goes to Turkish ports on the Mediterranean coast, the north—to the refinery Batman in Turkey and the east—to the largest transshipment base in the village of Cizre,” the Russian Ministery of Defense web page states. Oil from fields near the Syrian city of Raqqa—said to be the capital city of the Islamic State—is transported at night through the border town of Azaz, Syria and Reyhanli, Turkey to the port of Iskenderun and Dörtyol where the stolen oil is loaded on tankers. 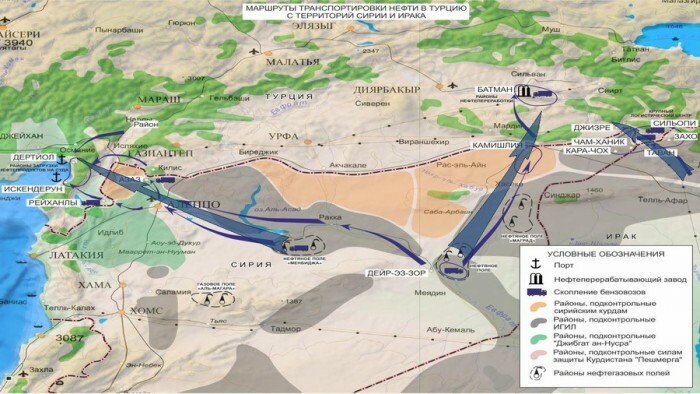 The Russians claim the convoys are under the control of al-Nusra, the terror group funded by the Gulf Emirates and that cooperates with the Islamic State and supposed moderates in the Free Syrian Army. If you would like to watch video of Antonov’s entire presentation, you can do so right here. What Antonov is saying in the video has been translated into English, so you will be able to understand it. If any of these allegations are true, Turkey should be immediately kicked out of NATO. And if Barack Obama knew about any of this and refused to stop it, he should be facing impeachment proceedings. “We flatly reject any notion that the Turks are somehow working with ISIL. Preposterous. And really very, kind of ridiculous,” Steve Warren, Pentagon spokesman, said. As an American, I am utterly embarrassed that our “leaders” would continue to try to deny what Turkey is doing after everything that has come out. By flat out lying to the world, we are losing any credibility that we had left. Hundreds of millions of dollars worth of stolen oil has been smuggled into Turkey, and our government still has the audacity to try to tell us not to look behind the curtain? If we are going to continue to lie about the hundreds of millions of dollars worth of stolen oil that has been smuggled into Turkey, why should anyone believe anything else that we have to say? The Obama administration and the Turkish government have been caught in a massive, massive lie. In the end, this is the kind of scandal that could potentially bring down the Obama administration, leaders in Congress, and many among the top brass in the U.S. military. So what do you think about this emerging scandal?